ITM Platform serves to identify and manage project risks, in other words possible events which would have a negative impact on the project if they were to occur. Risk management is divided into identification and initial classification, generation of mitigation plans (or probability reduction) and contingency plans (or impact reduction). A supervisor can in turn be assigned to manage each of the risks identified. Go to the menu CONFIGURATION and click on Risk Settings within the PARAMETERS section. 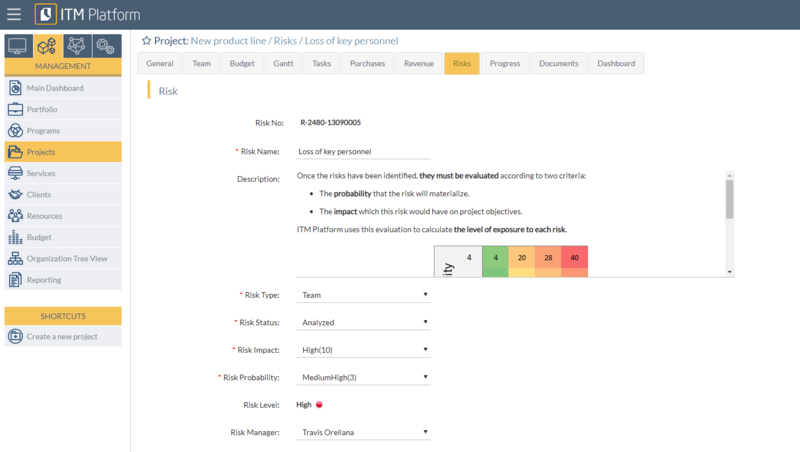 Configure the risk parameters such as the Risk Level 1 to adjust the levels to appropriate values for your organization’s needs, along with the status and type of risk. 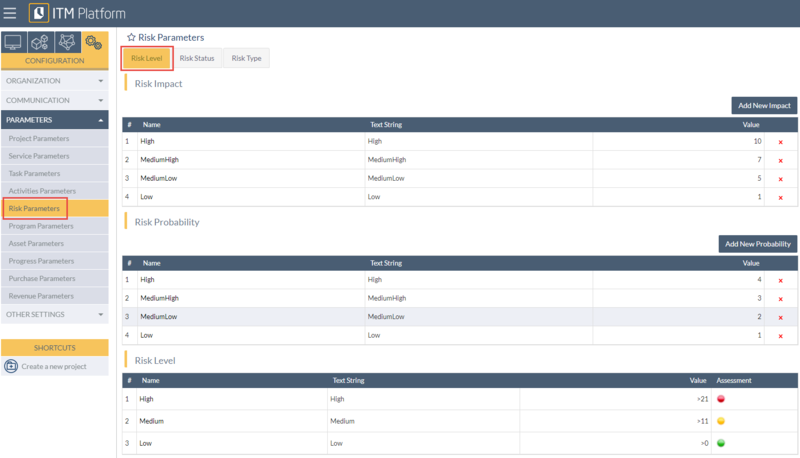 However, ITM Platform offers preset values which you can modify.